Cosmetic rhinoplasty is a surgical procedure to reshape, resize or sculpt the nose for aesthetic purposes. 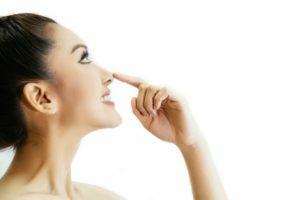 Colloquially referred to as a “nose job,” rhinoplasty can bring the nose into better balance in relation to the rest of the facial features, or improve a visible abnormality or imperfection that is detracting from the overall appearance of the nose or face. Delivering beautiful results requires the skill and experience of a remarkable plastic and reconstructive surgeon like Dr. Marco Ellis. When performed by Dr. Ellis, rhinoplasty can be an extremely rewarding experience that boosts self-confidence and self-image. 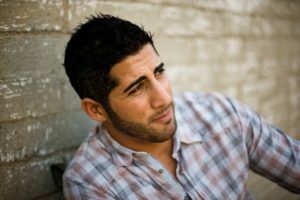 What Can Cosmetic Rhinoplasty Improve? Great rhinoplasty surgeons understand how to improve the appearance and function of the nose simultaneously. It is not uncommon for Dr. Ellis to fix an internal abnormality to improve breathing function while also addressing cosmetic issues during the same procedure. As with any procedure, determining candidacy requires an in-person consultation with Dr. Ellis. During the appointment, he will perform a thorough evaluation of the nasal and facial anatomy and inquire about the candidate’s goals of treatment. If he feels rhinoplasty is an appropriate solution, he will suggest a detailed plan of treatment. Cosmetic rhinoplasty is a highly individualized surgery, and the techniques that Dr. Ellis uses vary based on the patient’s needs and goals. The plastic surgeon may remove or reposition bone or cartilage as needed to improve the overall appearance of the nose or one of its specific features (e.g., nostrils, bridge, tip). Cartilage grafts may be needed as well. Nose surgery can be performed taking an “open” or “closed” approach. In the open approach, an incision is made across the columella, or the strip of skin separating the nostrils, and the skin is lifted to reveal the underlying nasal structures. In the closed approach, incisions are made only inside the nostrils. No matter which approach is taken, rhinoplasty is generally performed as an outpatient procedure with general anesthesia or local anesthesia with sedation. Every patient recovers differently and at his or her own pace, but for most patients, the initial swelling and bruising dissipate after the first 10 to 14 days. It is common to return to work after about a week — longer if the patient’s job is more active or strenuous in nature. Although the initial recovery is fairly rapid, it can take up to a year for the nose to stabilize. If you would like to schedule an appointment to discuss rhinoplasty with Dr. Ellis, please call (312) 695-6022 or email our practice today.